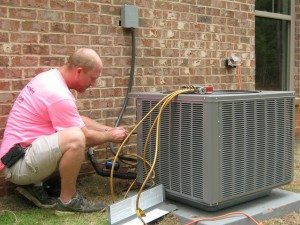 The air conditioning services that we provide in the Columbus, GA area are second to none. Whether you need an entirely new unit or you’re seeking an AC repair, our goal of providing exceptional satisfaction will always remain the same. The professionalism and common-sense approach to doing business means that you’ll undoubtedly receive the best price and a quality solution that meets your needs. By allowing a seasoned and respected company like us the honor of managing your project; receiving a friendly experience and a proper end result is what you’ll come to expect. To learn more about our air conditioning service or repair options, we invite you to get in touch with us using our contact form or by calling 706-566-7408.